For the first time, Grab users can use the Grab app outside of Southeast Asia and book Lyft rides in the U.S. from today. The Grab app can now be used in over 200 U.S. cities where Lyft operates. First two-way integration in global ride-share partnership goes live in the coming weeks. MALAYSIA – 2 June 2016 – Grab (formerly known as MyTeksi in Malaysia), the leading ride-hailing platform in Southeast Asia, is now available for the first time outside of the region. Grab users who are travelling to the U.S. from Southeast Asia can book rides in over 200 U.S. cities from today, with the Lyft integration in the Grab app now complete. This is part of Grab’s commitment to provide solutions that make the Grab app a seamless experience, whether in cross-border travel, payments or new services. The Grab and Lyft two-way integration will go live in the coming weeks, enabling users in Southeast Asia (SEA) and the U.S. to book rides through their native apps when they travel. This is the first two-way integration to go live in the global ride-share agreement between Didi Chuxing, Grab, Lyft and Ola announced in December 2015 – a partnership that reaches nearly 50 per cent of the world’s population, including the millions of international travelers across China, Southeast Asia, the U.S. and India yearly. Today, one in nine smartphone users in SEA are Grab users, with access to the largest land transport fleet in the region including taxis, private cars and motorbike services. 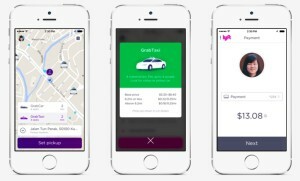 The Grab-Lyft integration enables Grab’s users to additionally access leading ride-sharing services in over 200 U.S. cities where Lyft operates. The roaming integration, which is part of a broader global partnership, enables international travellers to access local on-demand rides, without worry of local currency, language, downloading a new app or setting up new payment accounts. 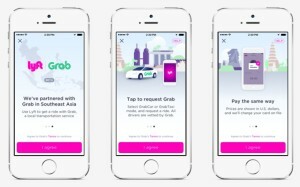 Grab users traveling in the U.S. will be able to book Lyft and Lyft Plus rides through the Grab app, and a Lyft user traveling in SEA will be able to book GrabCar and Taxi rides through the Lyft app (in cities where available). All rides are cashless and transacted via credit card or alternative payment options such as PayPal wallet, enabling for a seamless ride experience.